Up to recently, when kids learned to write on paper with their own hands, owing a fountain pen and using it to write homework and exams really marked their coming of age. For this reason, pens have always made soft, yet meaningful statement about both the person who gave it as a present and its user. And especially fountain pens have always represented elegance, strength and authority. 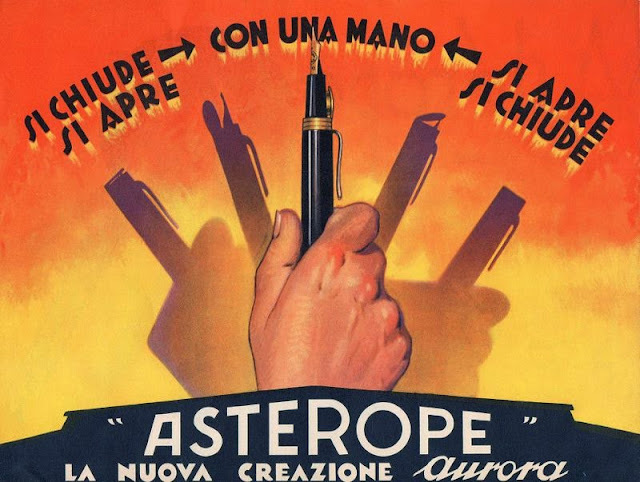 All pens aficionados and pen collectors in the world know Aurora - the very first Italian brand of fountain pens, founded in Turin in 1919, by Isaia Levi who opened his factory downtown, in Via della Basilica 9, near the Porta Palazzo market. At the beginning, the Aurora fountain pens were imitations of the American models, however, it became soon clear that because of their technology, design and materials, the Aurora pens were much more than mere imitations! Different materials were used to make them from hard rubber to celluloid, even semiprecious stones. After WWII, a new factory opened out of Turin and new innovative models were created by the mind of famous Italian architects like Marcello Nizzoli, Marco Zanuso and even Giorgetto Giugiaro. These pens literally made the history of design gaining everybody's heart from everyday writers to collectors. Model 88, designed by M. Nizzoli in 1947, sold over a million pieces by the mid 1950s. The Duocart model, designed in 1957, was revolutionary with its second ink-cartridge inside the handle; and the Hastil model, designed in 1970 by M. Zanuso, was the first fountain pen to be exhibited at MoMa in New York! 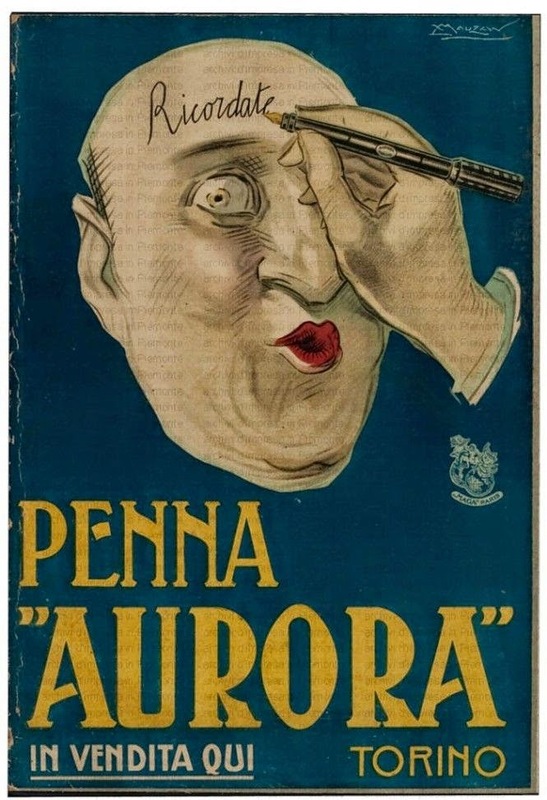 Today, Aurora has expanded its production to other products such as leather, watches and paper, and of its 6 million Euro profit a year only 55% is sold in Italy. As long as there will be cards and checks to write and sign, we'll need a pen and what can be more stylish than a well-designed fountain pen in a precious material? 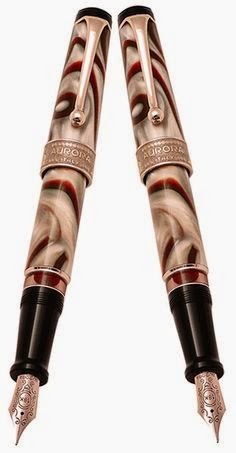 Thank you Lucia, very nicely written review, I am sharing my reviews on best fountain pens, read more reviews of fountain pens, their are number of options available for Fountain pen. Fountain pens are always classy and the trend of those pens will never end. I like fountain pens very much and thanks for giving some information about those pens. You can visit my site also for some more info.